Metso will supply 400 industry-leading Neles® emergency shutdown (ESD) valves for an ethylene cracker as part of the new Liwa Plastics Industrial Complex (LPIC) Project in Sohar, Oman. The new complex will process light ends produced in Orpic's (Oman Oil Refineries and Petroleum Industries Company) Sohar Refinery and its Aromatics plant as well as optimize Natural Gas Liquids (NGLs) extracted from currently available natural gas supplies. "We are pleased that Orpic trusted Metso's knowledge in demanding valve solutions for their new petrochemical complex. Metso's ESD valves are widely used in refineries, petrochemical sites and LNG plants around the world. Top-level safety and field-proven reliability are the strengths of Metso's valve solutions," comments Heikki Voutilainen, Global Project Sales Manager, Flow Control, Metso. The delivery includes Neles ESD valves ranging in size from 6"- 40". ESD valves are a vital part of a safety instrumented system (SIS). The valves are equipped with Neles ValvGuardTM intelligent safety solenoid valves, which can monitor valve condition, perform on-line testing and automatic reporting, and enable need-based maintenance. Furthermore, to guarantee flawless installation, commissioning and operation, the contract also includes optional customer site training and maintenance services for the new plant. The order is included in the first-quarter 2017 orders received by Metso. The value of the order will not be disclosed. Metso's valves will be delivered in the beginning of 2018. Earlier, Metso had been selected to supply ESD and control valves to Orpic's Sohar Refinery Improvement Project (SRIP) in Oman in 2015. Today, Metso's Neles control valve range is one of the most comprehensive on the market. It includes globe valves, top entry rotary valves, triple eccentric disc valves, eccentric rotary plug valves, and segment valves. 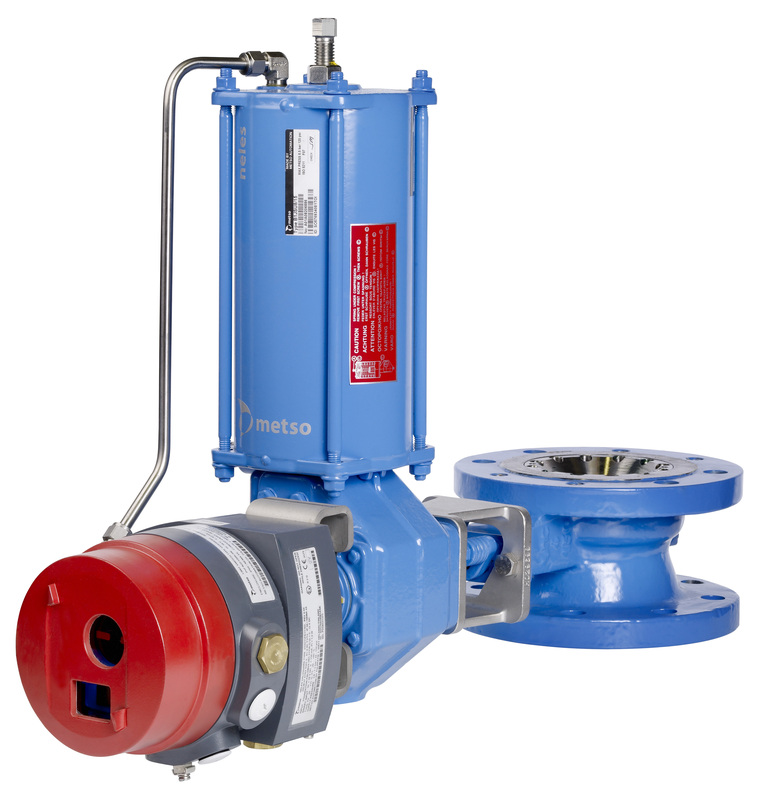 Metso's automated on-off valves include SIL-rated Neles and Jamesbury ball and butterfly valves. All valves are provided with Neles or Jamesbury actuators and conventional or smart accessories. Orpic (Oman Oil Refineries and Petroleum Industries Company SAOC) is one of Oman's largest companies and one of the most rapidly growing businesses in the Middle East oil industry. Orpic's Refineries in Sohar and Muscat, as well as the Aromatics and Polypropylene Plants in Sohar, provide fuel, chemicals, plastics, and other petroleum products, to Oman and to the world. To continue to meet the needs of Oman, and international markets, Orpic is undertaking three strategic growth projects [Muscat Sohar Product Pipeline (MSPP), Sohar Refinery Improvement Project (SRIP) and Liwa Plastics Industries Complex (LPIC)], in line with the company's strategy to add value to the Oil and Gas resources of Oman. For more information, please visit www.orpic.com. Orpic employs around 2,600 people. Metso is listed on the NASDAQ Helsinki Ltd, Finland, and had sales of about EUR 2.6 billion in 2016. Metso employs over 11,000 persons in more than 50 countries. Expect results.